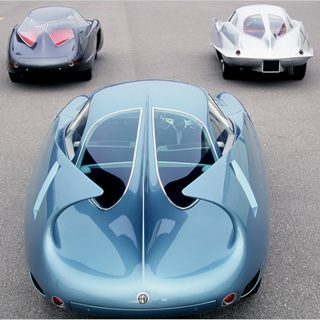 Although his family name is pronounced similarly, this Italian-born designer is not related to Carrozzeria Bertone, the Italian styling house founded by Mr. Giovanni Bertone. 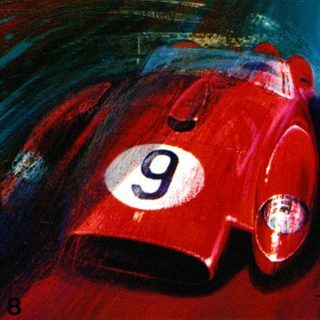 With that bit of confusion aside, Mr. Flaminio Bertoni (1903-1964) was an automobile designer whose work many liken to sculpture. It may thus come as no surprise that Flaminio, an art lover who admired Michelangelo’s and Leonardo da Vinci’s work, practiced both art and sculpture in his spare time while working at the Carrozzeria Macchi, a small Italian carmaker. He came to work there somewhat “by accident” following his father’s death, as he was forced to leave school, and get a job to support his family. Such was his skill that Flaminio started as a joiner in Macchi’s body department, but only a few years later was the head draftsman. But he resigned his position after an argument with management, and imbued with passion for automobiles and design, set up his own studio. In 1932, Citroën hired him and it is there that he’d eventually pen the lines of cars such as the Traction Avant, 2CV, and DS. Bertoni’s hiring by Citroën also had an accidental element. With his own nascent carrozzeria flourishing, he fell in love with a young woman that his mother disapproved of. She wanted her son to marry a cousin instead. Apparently, that’s how things were done back then. However, Flaminio would have none of it, closing his design studio and moving to Paris with his new bride. 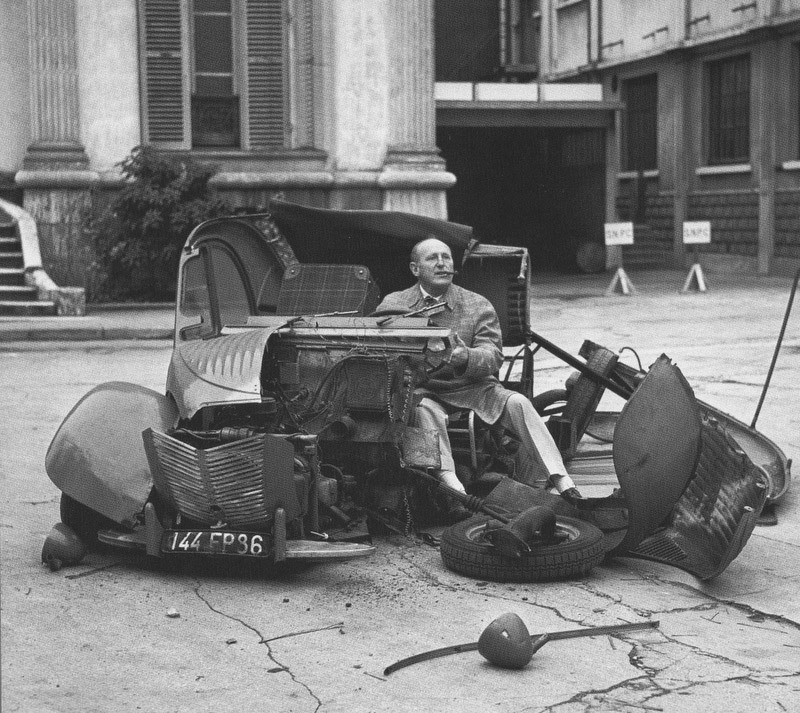 Fortunately, a short while later, Citroën offered him a job in their design department. 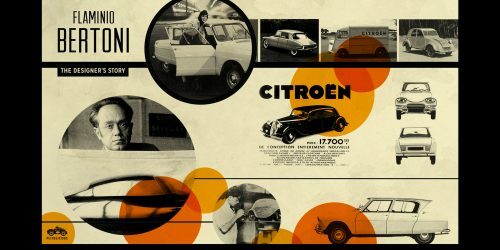 Citroën was known as an innovative company, even then, but was continually short of cash flow. Mr. Andre Citroën, the company’s founder made a big bet, investing his own fortune into the research and development of a new model that would become the Traction Avant. Although other companies like Alvis and Cord had already manufactured front-wheel drive cars by the 1930s, due to packaging, their designs left precious little space for their occupants. 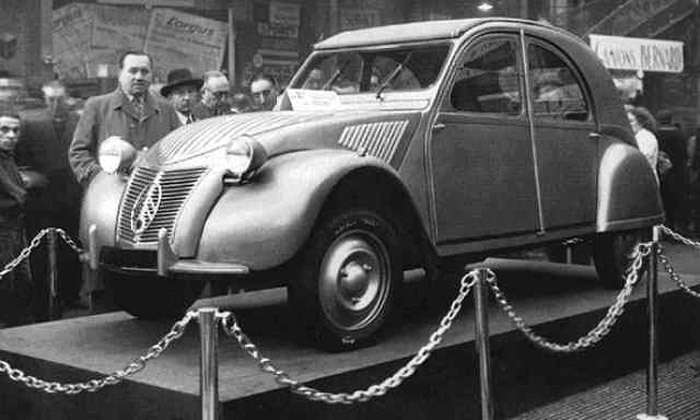 Working with Mr. André Lefèbvre, a talented young engineer at Citroën, Flaminio developed an all-metal body, substantially lighter than the partially wooden vehicles of the day. More remarkable, his design was reportedly created in a single night out of a plasticine material rather than a traditional sketch! 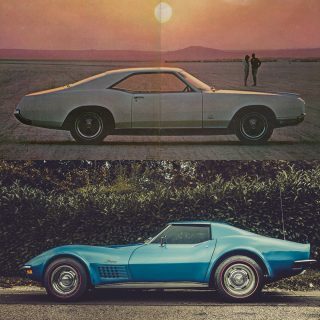 The first truly sculpted car design. 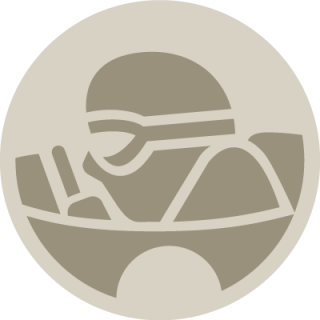 The car’s weight was distributed evenly and was very aerodynamic. Sadly, although heralded as a triumph and pioneering front-wheel drive for the mass car market, developing the model was so expensive that it bankrupted Citroën. 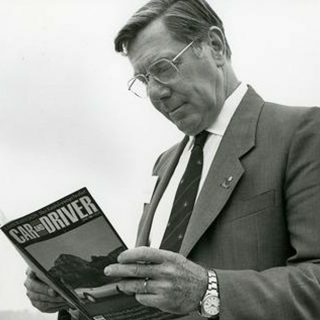 Months after the launch, the company was taken over by Michelin; however, the company and the executive put in charge of Citroën, Mr. Pierre Jules Boulanger, also believed in innovation, making the partnership a good fit. Citroën ended up selling about 760,000 units of the Traction Avant, making the model a success. 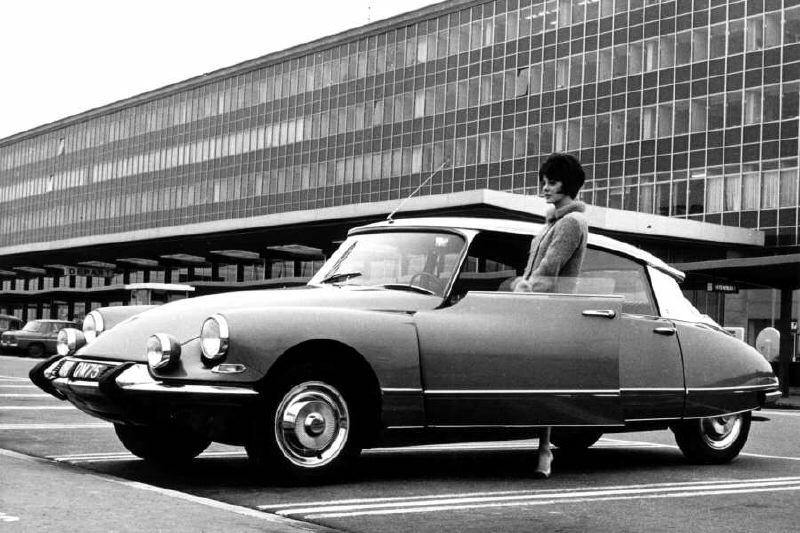 Pierre Jules’s first new project was the TPV, or “Tres Petite Voiture” (very small car), imagined as Citroën’s answer to Volkswagen’s Beetle, a car for the people. The design directives were for a car that would transport a farmer, his wife, and their produce at up to 60km per hour. Citroën again turned to Flaminio for the bodywork. When unpleasantness erupted in Europe–he was imprisoned and acquitted twice as an enemy of France during World War II–the project was put on hold, and hidden from the Germans. After the war, Citroën resumed the project anew and the 2CV, as it came to be known, sold more than five million units over its lifespan. 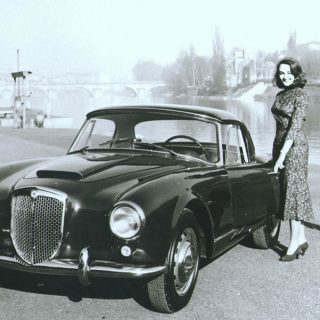 Switching gears in marginally more opulent post-war France, Flaminio and Mr. Lefèbvre worked on the DS, a spiritual followup to the Traction Avant. Mechanically, the DS (or “goddess”) was far more advanced than any other car at the time, and shocked the automotive world when it debuted at the Paris Motor Show of 1955. 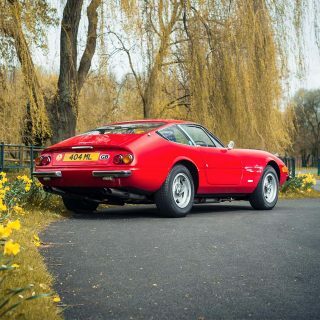 It featured a hydro-pneumatic suspension giving the car a “magic carpet ride”, front power disc brakes, and power steering amongst its many other innovations. And the body was a beautiful mix of sculpted metal and plastic, both inside and out. The DS succeeded by combining the modernity of the 2CV and the Traction Avant’s elegance of curve. 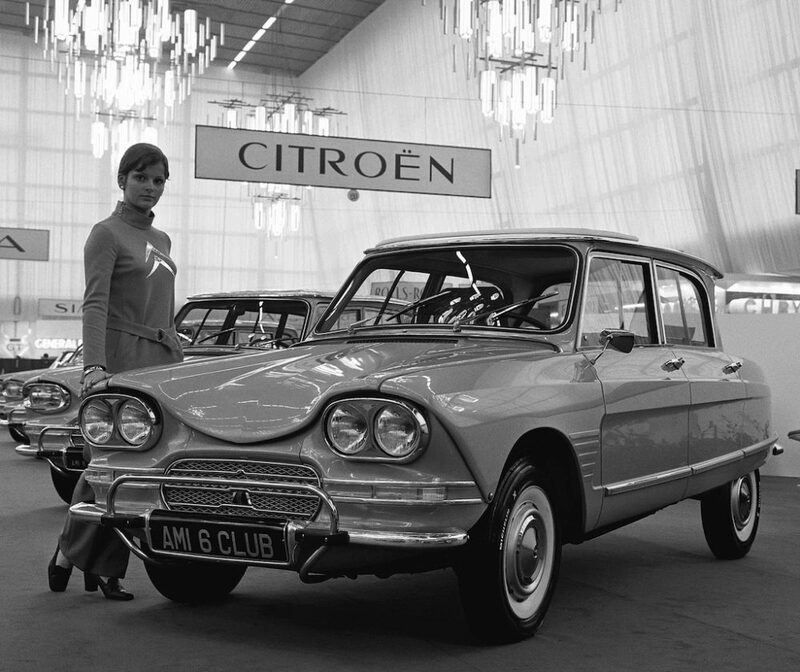 Citroën took twelve thousand orders the first day of the show. You now what really never goes out of style. The women next to the cars in auto shows like the woman next to the Citroen Ami. Good looking women never go out of style. The guy with the cigar in the busted up car was a very well known French comedian. His name was Bourvil. Love French cars, all of them! They’re so eclectic: Early Peugeots, Citroens, Renaults, Real funky cars. I disagree I find Citroen’s current range one of the most interesting of the mainstream manufacturers. The C4 Cactus seems like a funky grocery getter with the air bubble thingy’s on the side and apparently is very light which has to be a good thing. I seriously considered the DS5 as my commuter car especially in it’s diesel hybrid from. I really like the styling of them although in the end I played it safe and went with a BMW. The recently dropped C6 was a really cool car too shame no one brought them. PSA Thank the beancounters and a cultural/class divide. Peugeot was for the mainstream, Citroen was for radical change.